“Jamie the Dog” is an integral member of the Central Athlete team and one of the liveliest personalities in the gym. Jamie was born on July 15th, 2008 in Fort Worth, Texas. Jesse was also in Fort Worth—at Texas Christian University (TCU)—having returned from a series of internships in Ho Chi Minh City, Vietnam during the infancy of his fitness career. One day, he was jogging around a loop surrounding TCU’s Greek houses when he came across a man selling purebred Chocolate Labs that were nestled in a cardboard box. They were six weeks old and had the characteristic “puppy smell.” Jesse impulsively picked up the runt of the litter. He knew from that moment that the puppy was coming home with him. Jesse finished the two-mile loop and ran back to his house to grab his wallet so he could buy the puppy. To his surprise, the man had left and was nowhere to be seen. Determined to find that puppy, Jesse ran a bit farther down the road and saw the man walking toward his car, and exclaimed that he wanted to buy the runt of the litter. Ten minutes later, Jesse was in the throes of creating a makeshift bed for Jamie in his dresser drawer with his two roommates while Jamie gnawed their fingers with her sharp puppy teeth and squirmed on her back in their living room. Five months later, Jamie suffered a tragedy when she came across some rat poison at the TCU house. Two days later, Jesse and one of his roommates found Jamie unable to move, with blood dripping out of her nose. She was dying. Jesse’s roommate, John Carter, rushed her to an emergency veterinary clinic, where the vet determined she was bleeding internally, and gave her less than a 50% chance to live. We all know that “Jamie the Dog” made it out on the other end. She is now ten years old, still able to jump into Dad’s truck and goes on two long walks a day; she also enjoys a healthy doggy “Paleo” Diet. 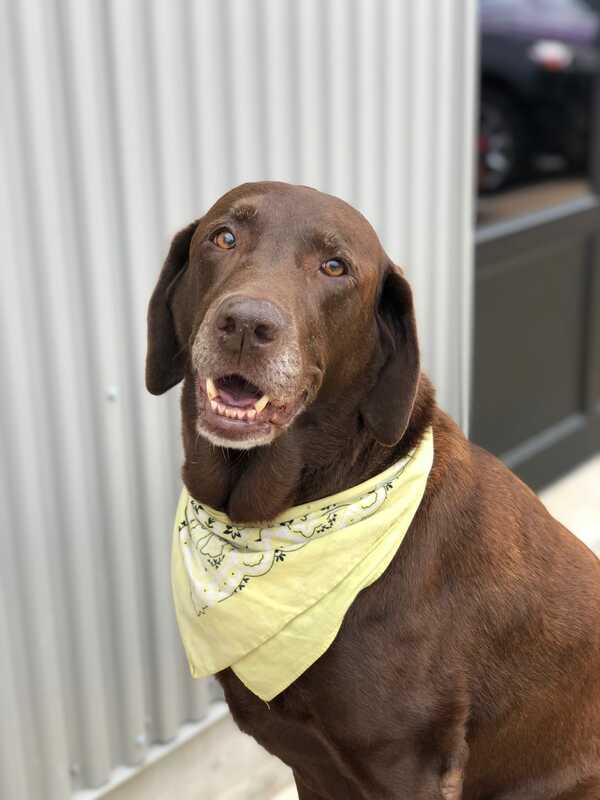 Jamie loves greeting Central Athlete clients by ramming her head between their legs, smelling their armpits and retrieving her ball for them to toss.